Last week, over six thousand evangelicals signed a statement on social justice and the Gospel. 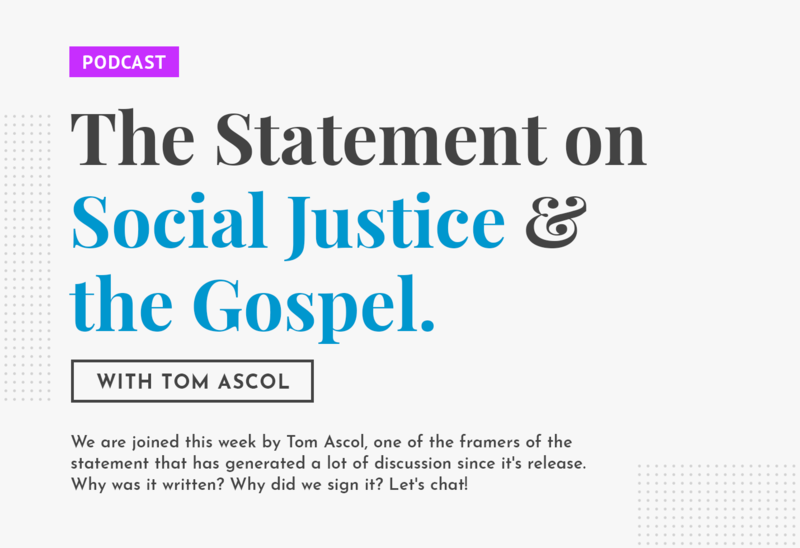 We invited one of the framers of the statement, Tom Ascol, to join us to talk about why it was written and where we should go from here. We agree that racism is abominable. Misogyny is horrible. We agree with proponents of “social justice” (we mean that phrase as it is commonly used, not as we would perhaps define it) that these things must be addressed by the church. However, it seems that the area of disagreement that is wrought with tension resides in what the solutions to these issues are. No matter what side of the aisle you are currently sitting on, we think you should take the opportunity to listen to Dr. Ascol explain where this document came from and the heart behind it. Summer and Joy, I really enjoyed this interview.